When Saajan entered this world, much to our surprise, he came with a little something extra – he had Down’s syndrome. ...My biggest source of guilt was wanting to give my eldest son a best friend, instead it felt like I’d birthed a burden. My heart was broken. Amidst all the confusion, chaos and grief, was Arjun falling more and more in love with his baby brother as he viewed the world through a clear lens. No judgement. No expectation. The things I tried to mask that told the world he had Down’s syndrome, were the same things Arjun was cooing over, like his almond shaped eyes. By watching Arjun love Saajan unconditionally, he also taught us.Arjun loves Saajan so fiercely and is extremely protective of his little brother. He’s also his greatest cheerleader and is so excited by the progress Saajan makes. ...Despite our initial fears, Saajan has slotted right in to our family – he is the glue that keeps us all together. He is so much more than just an extra copy of chromosome 21 and he’s more like us than different. He loves motorbikes like his daddy, he loves playing hot wheels with his big brother Arjun and he’s a foodie like me! He has bought us and so many around the world through social media so much joy just with his infections smile and zest for life. He depicts so many of the traits I wish I could have such as enjoying what’s in front of him and just being a happy go lucky kinda guy. He’s very caring and loves a good old dance! We did have the odd comment such as “we’ll pray he’ll get better” – though people mean well, it insinuates there is something wrong with Saajan. I use those opportunities to educate people that he’s not suffering, he’s happy, and that Down’s syndrome doesn’t require a cure. 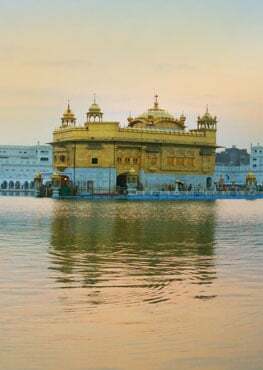 Being someone that is a believer in God, my faith has always remained strong and I have always taken comfort in visiting the Gurdwara (Sikh temple). One of my biggest fears when Saajan was born was how he would fit in with the Sikh community. I struggled to bring myself to go to the Gurdwara as I worried about the stares, the unsaid words and the ignorance. However with time, I realised that it was me holding us back. Sometimes the fear and anxiety of how we think something will be, is far worse than the actual event. I had to remind myself of the foundations of Sikhism and all that Guru Nanak Dev Ji (the first Guru) taught – we are all a creation of God and we are all equal regardless of any difference. By reminding myself of this daily, I felt more and more comfortable with the idea of taking Saajan – he has as much of a right to be there as anyone else. Initially, I’d only take him if my husband was with me – he has always been a lot more confident than me with facing the world primarily because he isn’t scanning for people’s reactions! 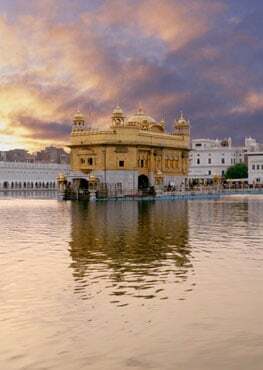 We now go to the temple frequently and I feel as much a part of the Sikh community as I ever have. No one has ever actually ever said anything negative to us at the temple, but I’m aware that as he gets older, there may be questions, and stares, but I’ll cross that bridge when it comes. I want the sangat (congregation) to grow with Saajan and to know him for who he is. He loves going to the temple just as much as me – the enormity of the congregation hall, the harmony of the kirtan and the taste of the langar (free food for all those that visit the Gurdwara). My hope for the future is that he’ll participate in seva (selfless service) at the Gurdwara for example by helping to wash the dishes just like his big brother does. I truly believe the Gurdwara and other places of worship are a great setting for people with additional needs to be able to develop life skills. ...He’s slowed our lives right down and we are able to really be grateful for all the small things in life. He is exactly what our family needed but didn’t know. He IS perfect. He has enriched our lives more than I ever could have imagined the day he was born. Our lives aren’t over – they have only just begun. He has given us a new lease of life. We had a 1 in 100,000 chance of having a baby with Down’s syndrome – we were that 1, we hit the jackpot! Saajan continues to prove to me that my fears were unfounded, HE is my greatest teacher. We are a pretty regular family, doing regular things and enjoying the ride! I worried about the impact having a child with Down’s syndrome would have on my family, but he has strengthen the relationship between my husband and I, he has given Arjun the opportunity to become the most well rounded human being and he has bought us all so incredibly close. Arjun and Saajan are literally each other’s breath – they are so close and they play and fight just like regular brothers – I had nothing to fear! Our lives feel full, complete.